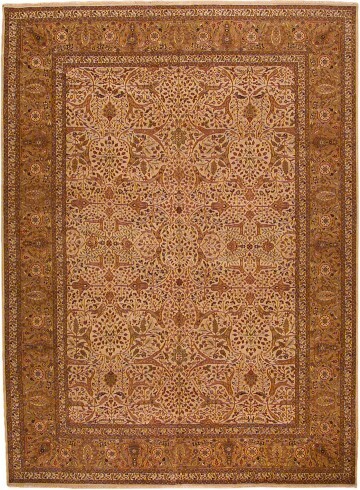 A popular revival of classic 19th Century Tabriz designs created in the workshops of Hadji Jalili. Skillfully crafted of the finest quality handspun wools of Azerbaijan, and available from Steven Miller Gallery in a wide range of sizes. 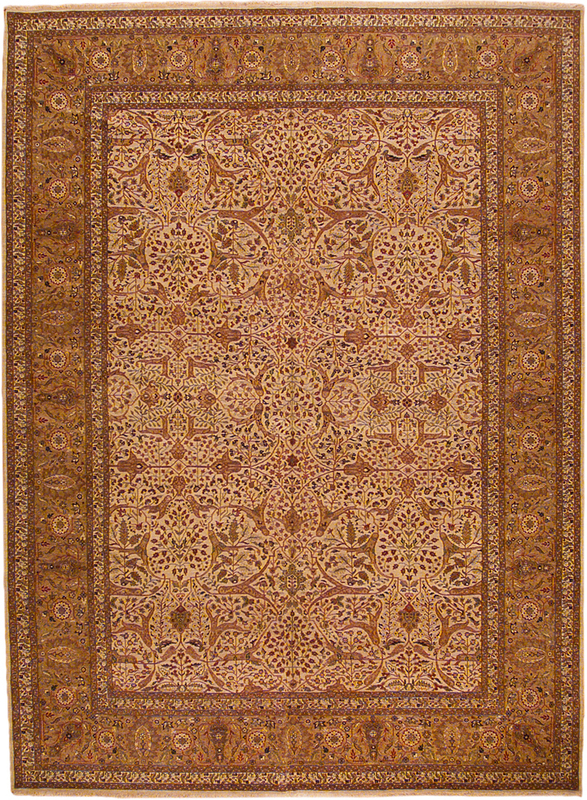 The all-over Tabriz pattern is infused with harmonious earthy top colors on a beige field enclosed in gold borders. This handwoven beauty is a natural choice when you want to bring visual unity to large-scale decorative room settings.